Coffee veteran Chris Calkins, owner of Prodigy Coffee in New York City’s West Village, launched his latest venture, Gotham Coffee Roasters, in late January. 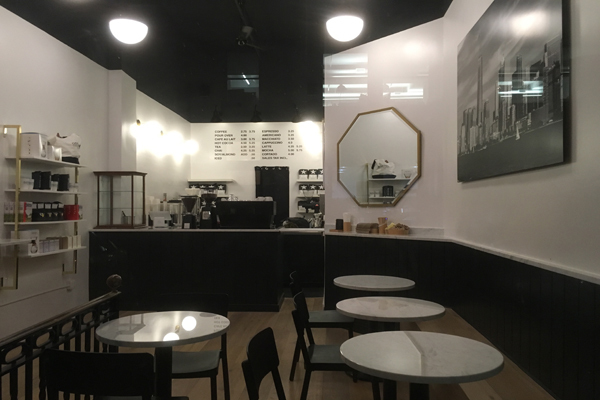 His newest coffee bar is situated in a landmarked 1908 building in the Flatiron District. Gotham Coffee Roasters features some of the same coffees served at Prodigy but also has single origin coffees and microlots from seasonal offerings, curated and roasted by Calkins and his small team at the Pulley Collective in Red Hook, Brooklyn. Much of the coffee is also direct trade. “We believe that coffee is a very personal indulgence, it is our responsibility and pleasure to be a dependable source for great coffee,” he says. Located at 23 W 19th Street, the Gotham Coffee Roasters shop, is the flagship for wholesale roasting business. The 450 square-foot space will also be used for training as well as sales. “Our primary goal is to combine our talents and deliver the highest quality coffee to both our retail and wholesale customers,” says Calkins.